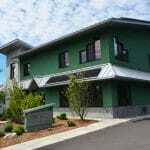 We designed and built our office building located on Main Street in New Paltz, New York. 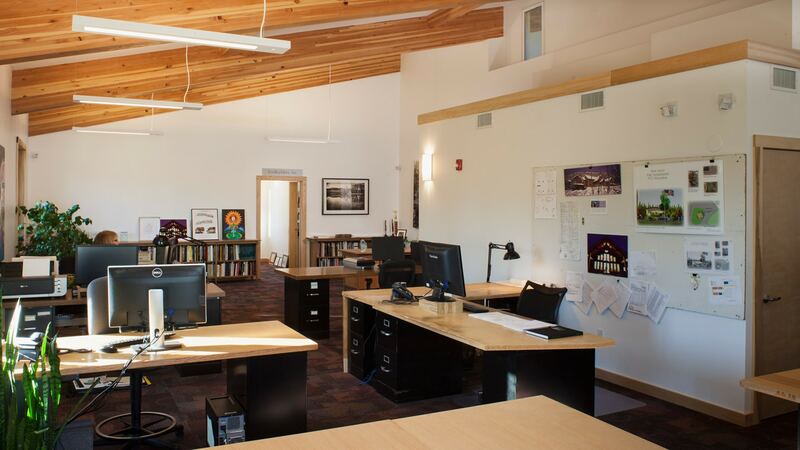 The building is Net Zero Energy and LEED Platinum Certified. 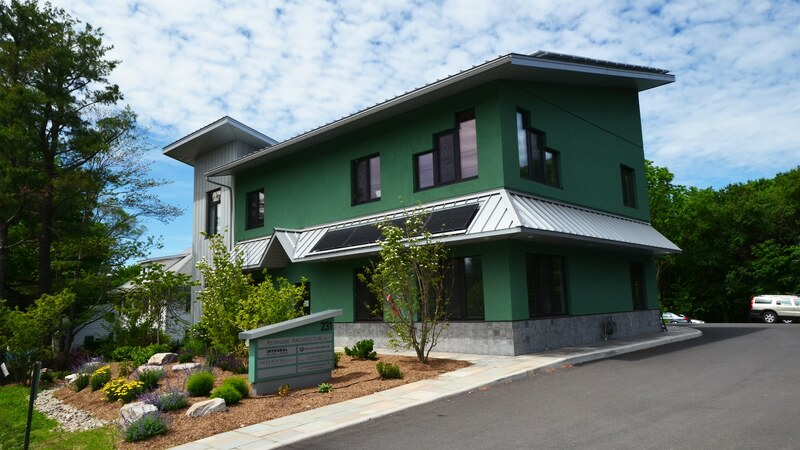 It is one of only seventeen Net Zero Energy buildings throughout New York State. 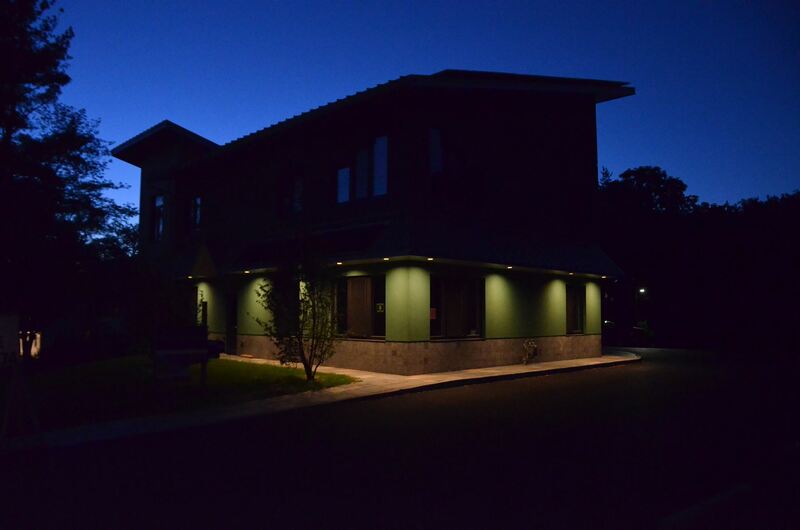 The 5400 SF office building is the home to Alfandre Architecture, EcoBuilders, Inc as well as other tenants. 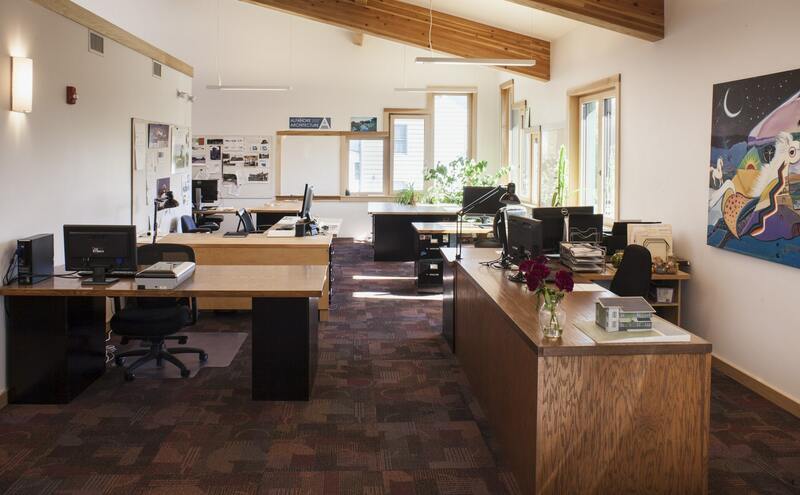 Not only is this office building a Net Zero Energy building, but it also meets Passive House standards. 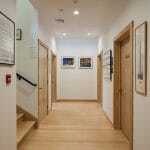 Through blower door tests and thermographic analyses, our office has an air tightness of .6 air changes per hour. Meanwhile, the energy code requires a maximum of 3.0 air changes per hour. While our office building is a healthy building for its surrounding area, it's also healthy for those who inhibit the building. 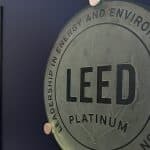 Most buildings that are LEED Certified have to have good indoor air quality, which has been proven to improve cognitive function and prevent sicknesses. 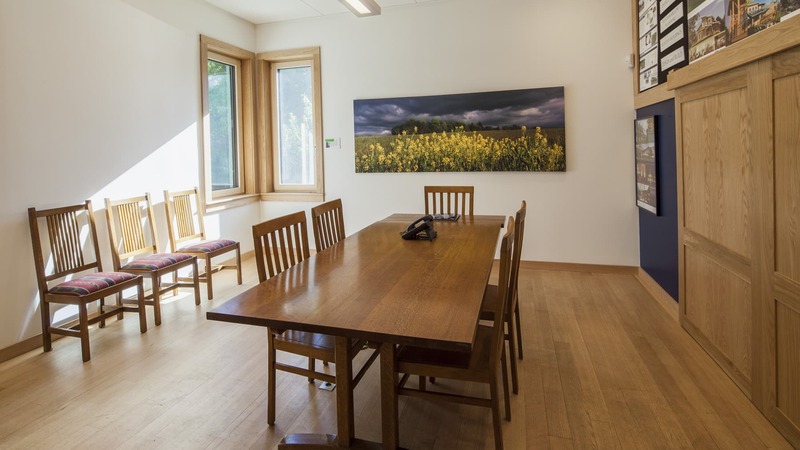 In a study done in at the Syracuse Center of Excellence, participants who worked in an enhanced green office space had much fewer health symptoms and significantly better cognitive function including focused activity level, crisis response and task orientation. 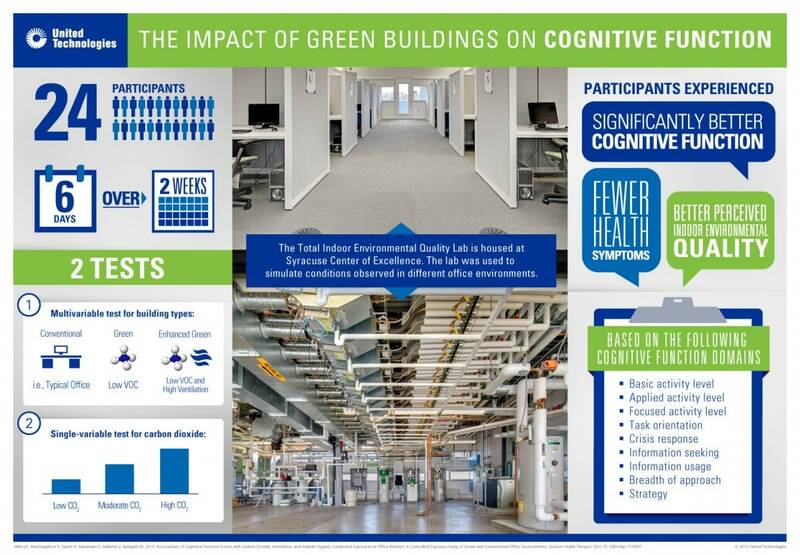 The cognitive scores were 101% higher in an enhanced green building. In a study done by the Harvard T.H. Chan School of Public Health's Center for Health and the Global Environment, the inhabitants of the enhanced green building had much better cognitive scores. 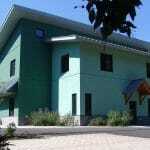 Net Zero Energy buildings produce the same amount of energy they use from renewable energy sources. The consumption principle is viewed as a means to reduce carbon emissions and reduce dependence on fossil fuels. The buildings are designed for the future, not just for the now. 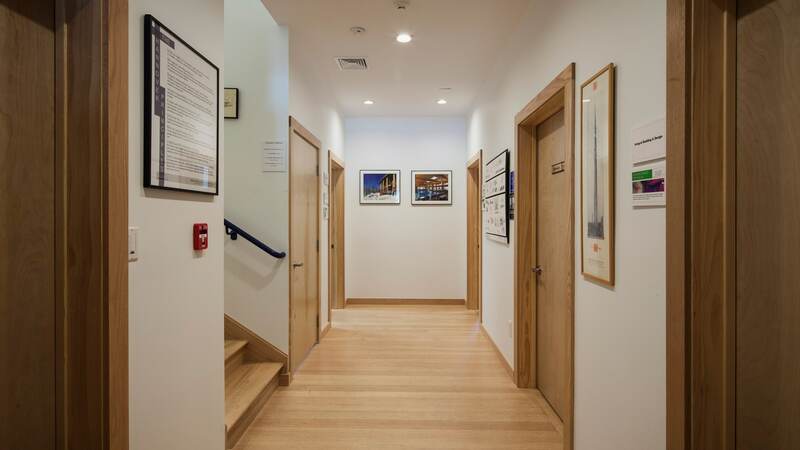 Below are the steps we took to become not only a LEED Platinum building, but also a Net Zero Energy building. All of our exterior walls are built with insulated concrete forms all the way down to the foundation. This type of construction provides an airtight insulated building enclosure that is extremely resilient with no thermal bridging. 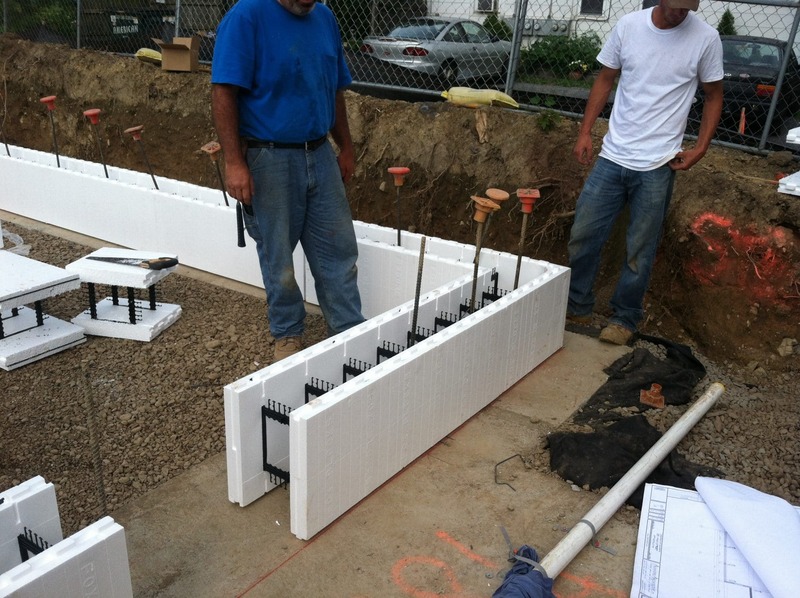 Insulated concrete forms (ICF) being placed before pouring concrete. Our roof was built with structural insulated panels (SIPs). They are high perfomance panels with the strength of a steel I-beam. 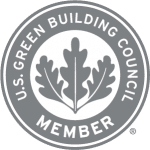 Not only are they much faster to install, but they are one of the most environmentally responsible building systems available. 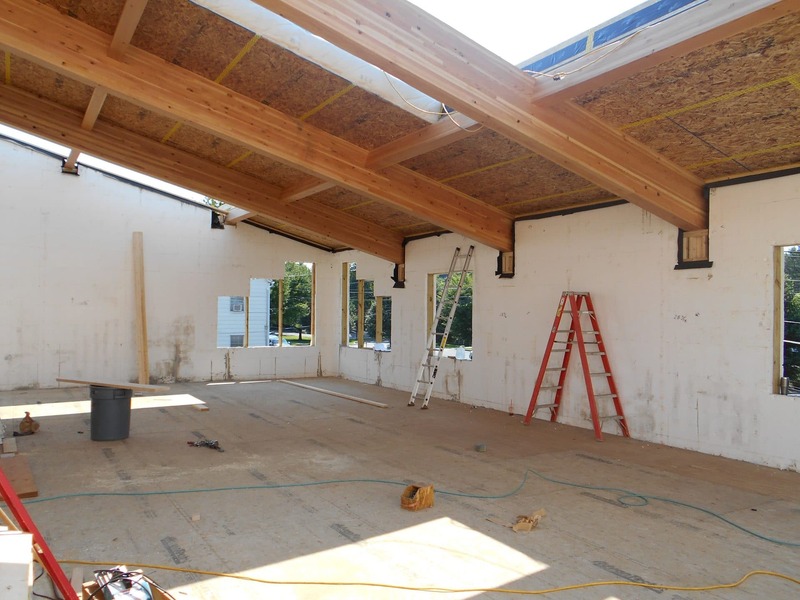 The interior view of our office space while the roof was being placed with structural insulated panels (SIPs). Triple pane windows were used to maximize the envelope efficiency with an R-7 value. They also reduce the noise of traffic on main street to a minimum. 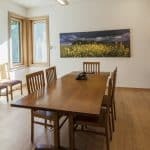 The triple paned windows give everyone in the office a view of Main Street and the greenery that is around us. Under-slab insulation was used underneath the foundation to fully enclose the building to reduce temperature variation and heat loss. 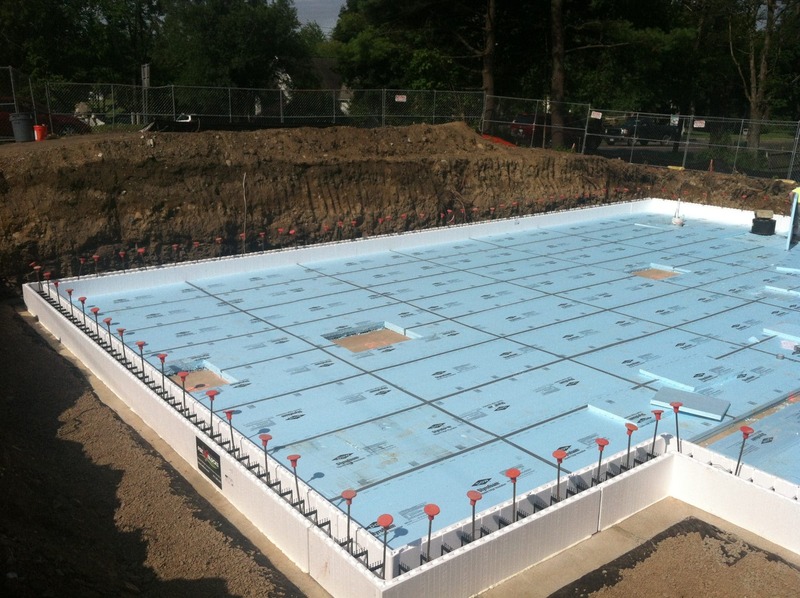 By having under-slab insulation, the building is more insulated and the concrete is better protected from moisture. This helps keep our basement dry. 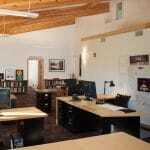 The windows throughout the office allow the maximum amount of daylight into each office space without heating up the space. In typical buildings where windows face the south, the space would heat up immensely. 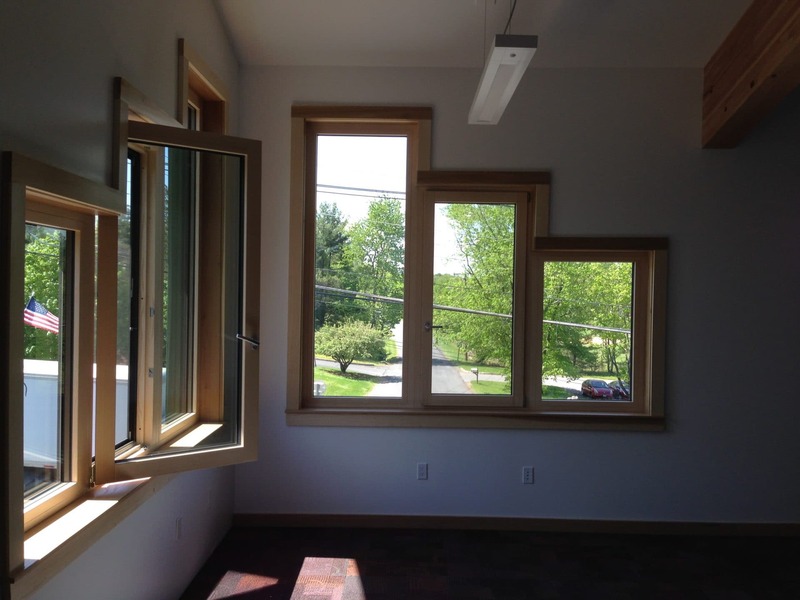 Because of our triple paned windows, we can allow the daylight without heating up the space. Being advocates for night sky pollution, all of our night lighting is motion-sensitive and downward to prevent any light pollution. The lights in the overhang of the building are never on after 11 pm. The parking lot lights are downward facing and motion activated, so they are dimmed when they are not in use. To increase our water efficiency, we collect rainwater from our roof and reuse it to flush our toilets. In our office, we use about 11 kGal for our toilets and irrigation system compared to the average of 31.91 kGal in an average building. In our parking lot, we used porous pavers to allow the rainwater to be diverted and go into the ground. This helps reduce the amount stormwater runoff from our site. 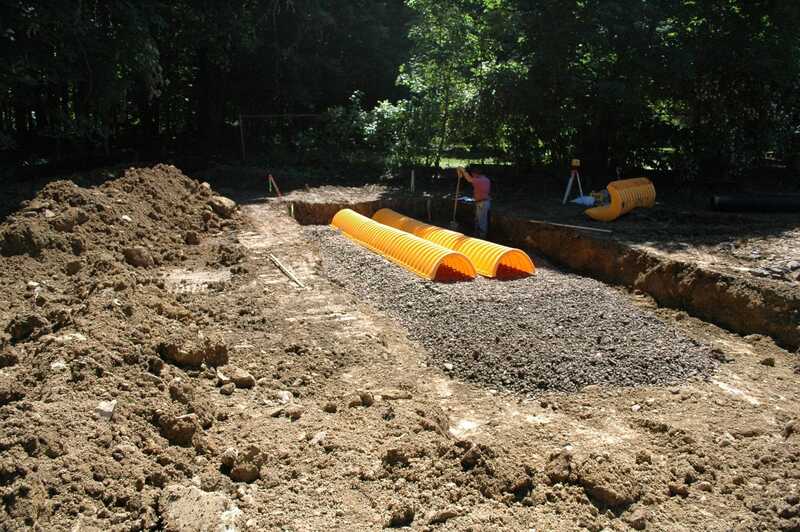 Porous pavers, combined with subsurface storage/infilatration chambers, were used to control stormwater runoff and reduce it to pre-development rates. The photovoltaic cells located on the roof have collected over 173 MWh of energy since they have been installed. That's enough power to service 11 football stadiums! 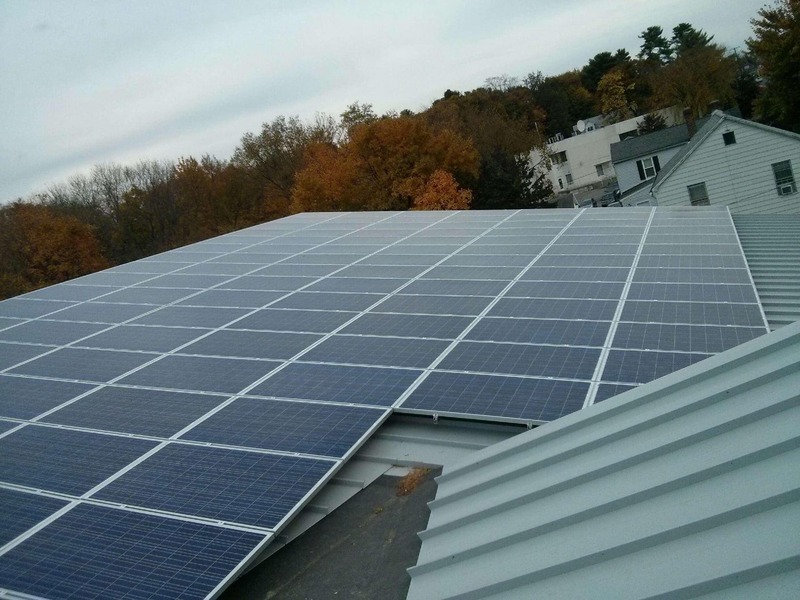 The PV cells on the roof are grid-tied and each have their own inverter. In this case, if one cell is shaded or covered, all the other cells will still produce energy. 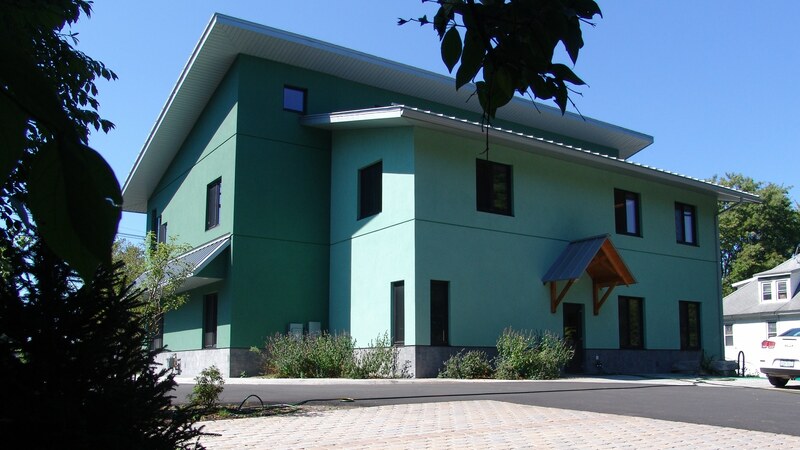 In the beginnings of this office building, our goal was to become a LEED Gold certified building. 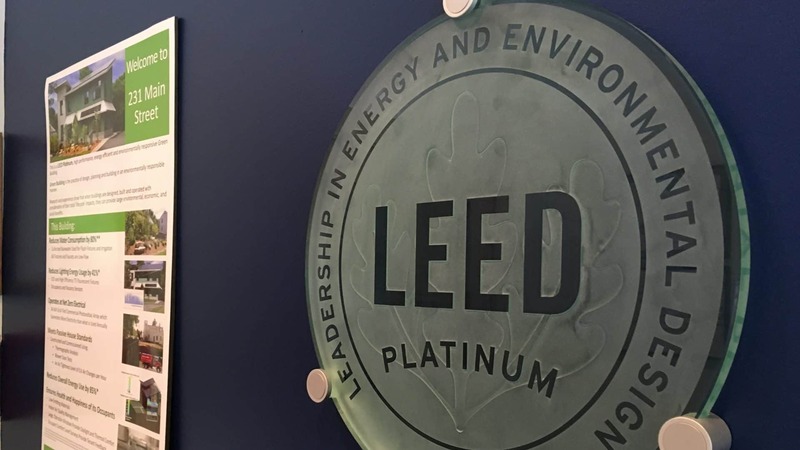 We ended up being greener than we thought we'd be and became a LEED Platinum, Net Zero Energy building.